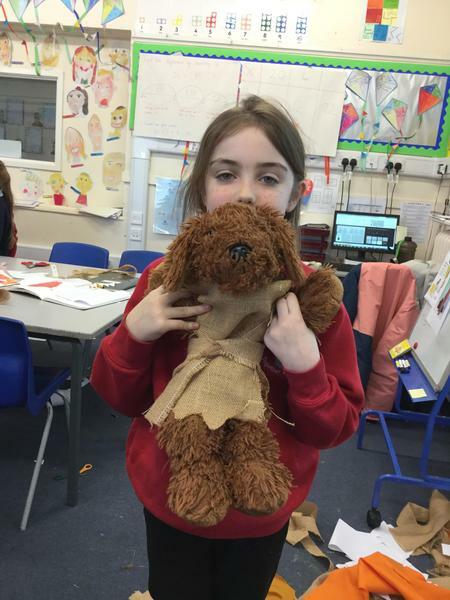 Our visit to Creswell Crags really enhanced our learning of the Stone Age and the Ice Age in particular. 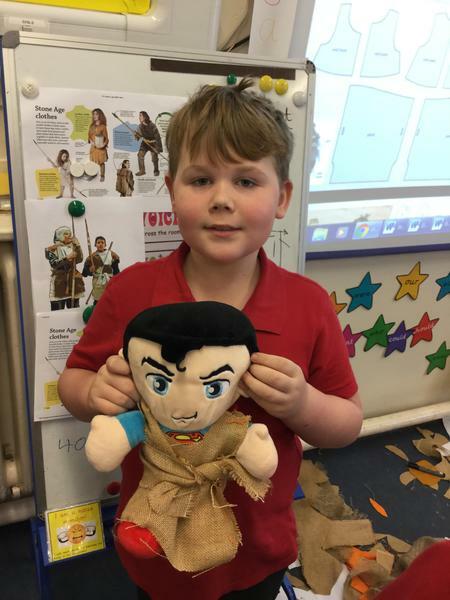 We visited a real cave, explored a variety of skeletons, bones and fossils, and learnt how to live like a Stone Age girl or boy. 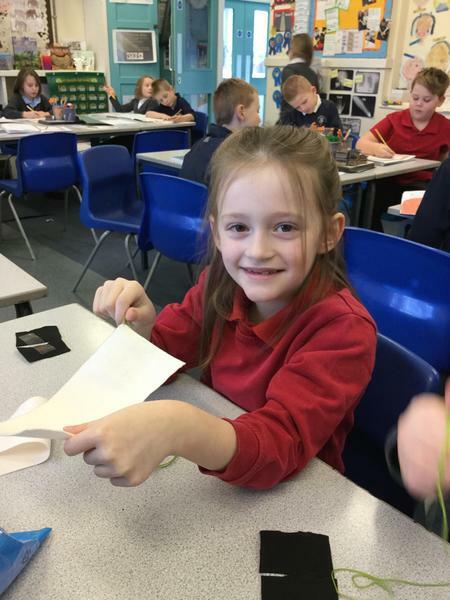 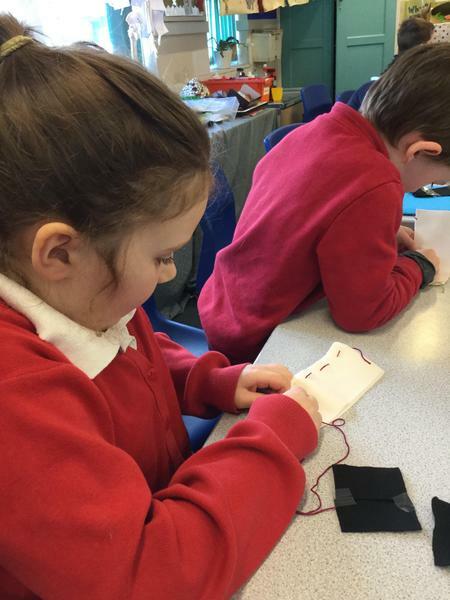 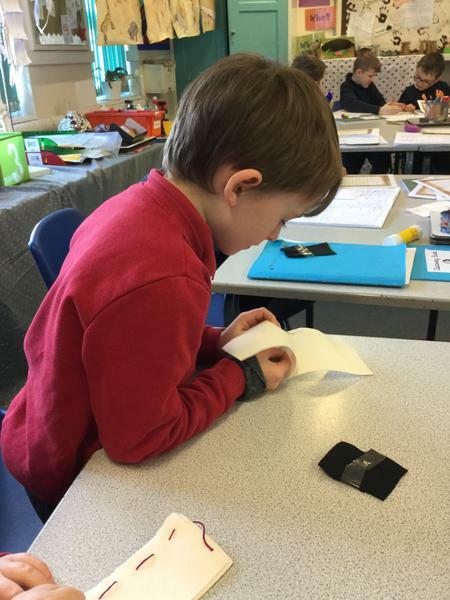 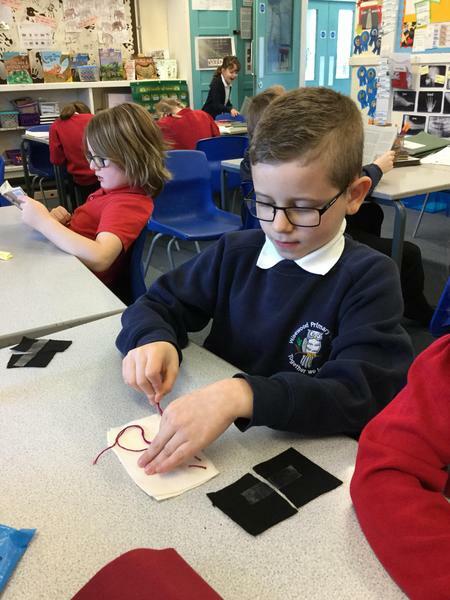 Over the last three weeks we have been developing lots of different art techniques as we have created our mixed media pieces. 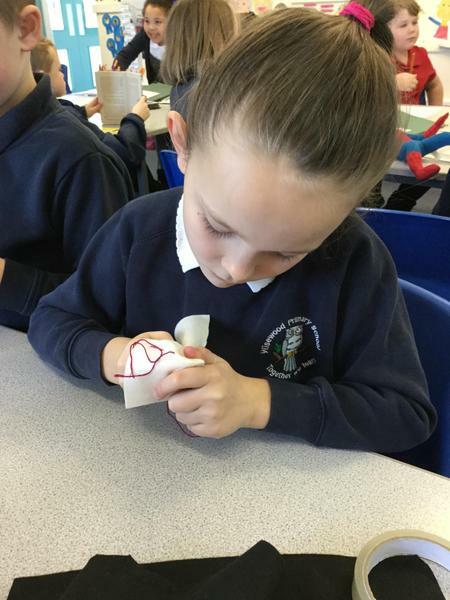 We found it really tricky using the power paints and mixing them to the correct colour and consistency, but we think the finished pieces are fantastic! 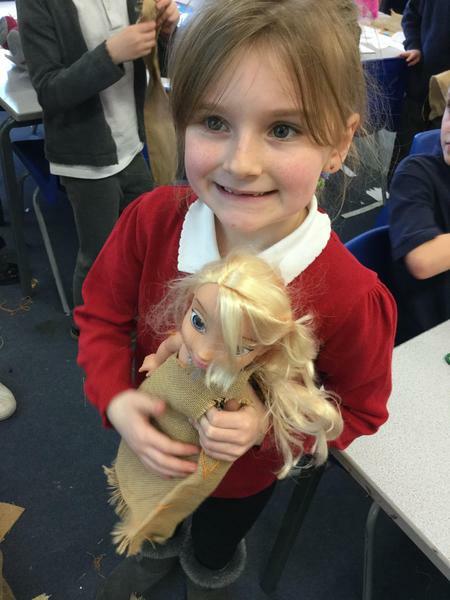 Stone Age Design and Technology Day! 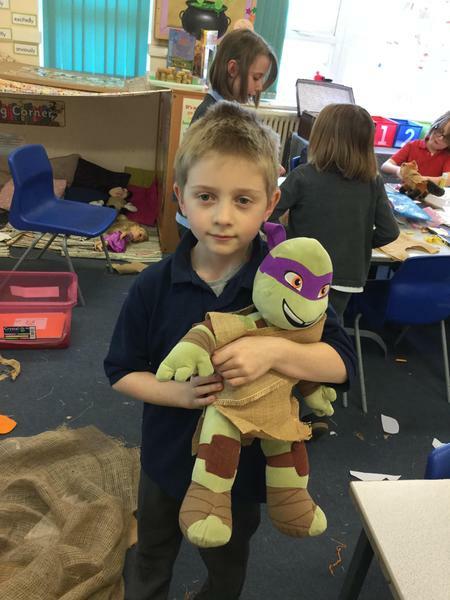 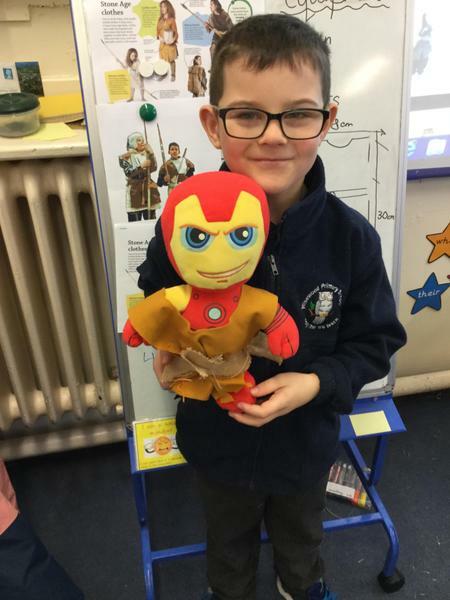 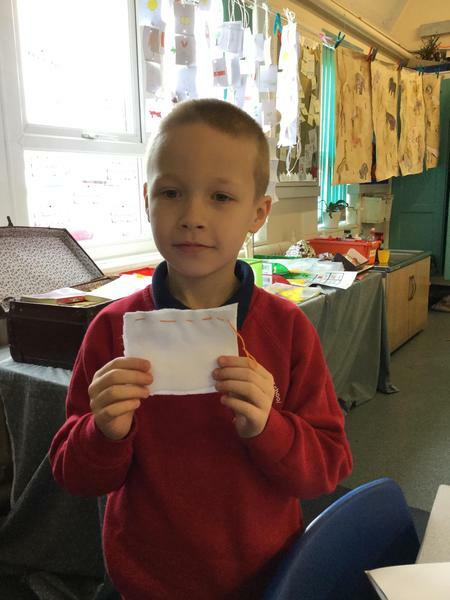 To celebrate our hard work this half term, we had a DT day. 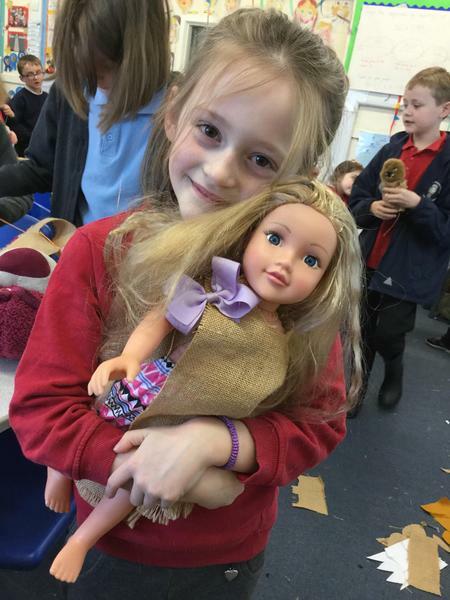 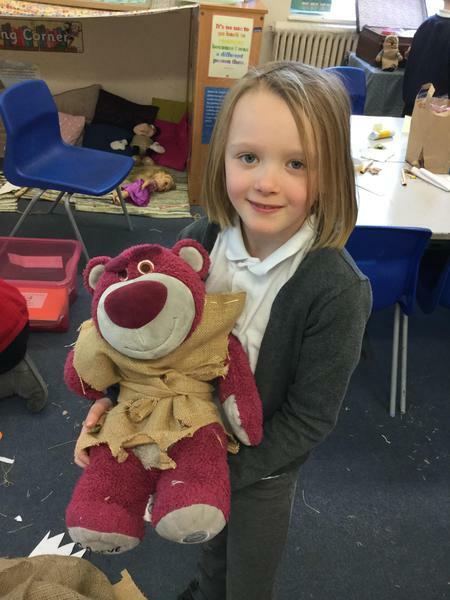 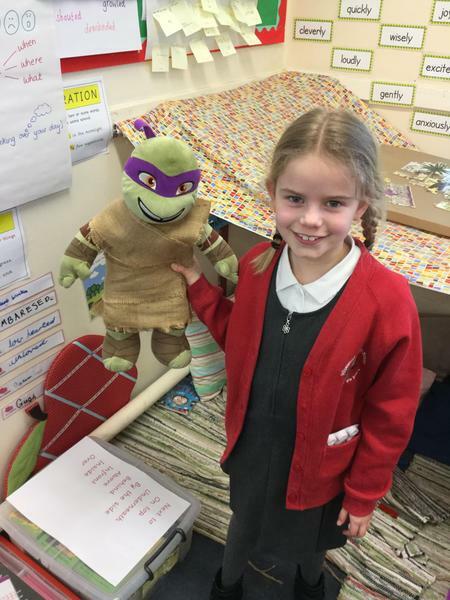 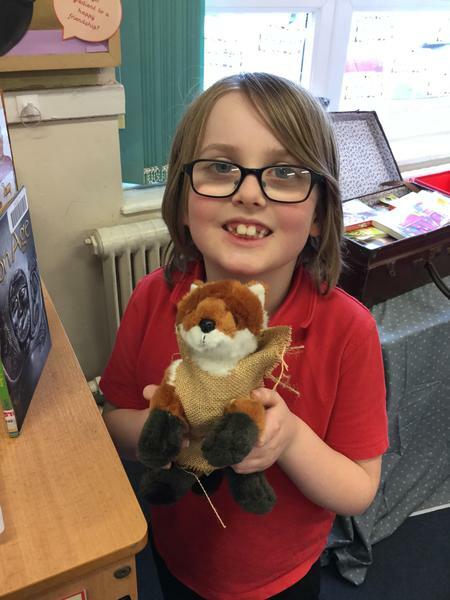 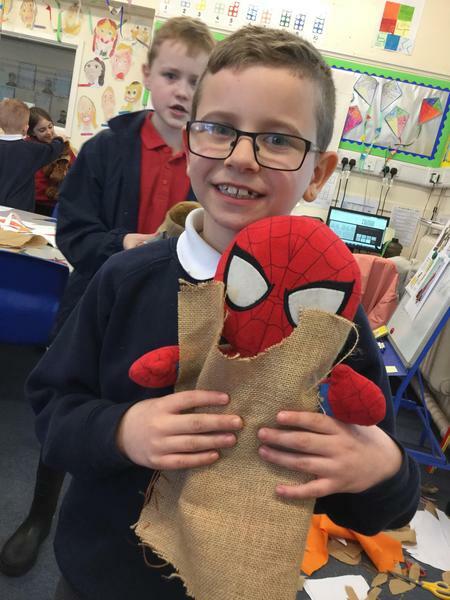 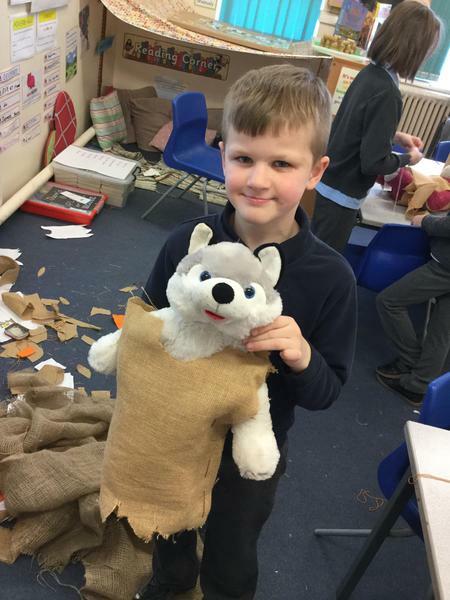 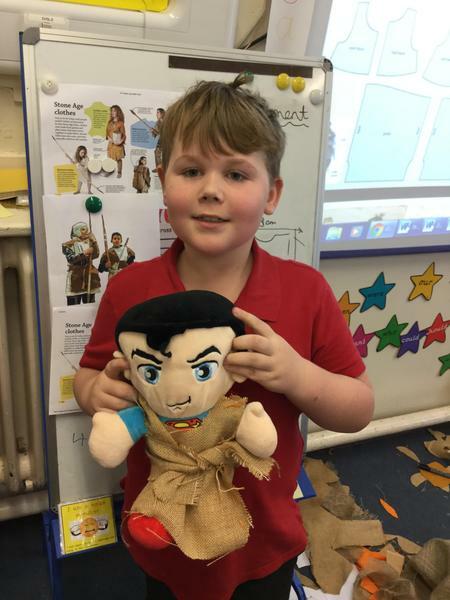 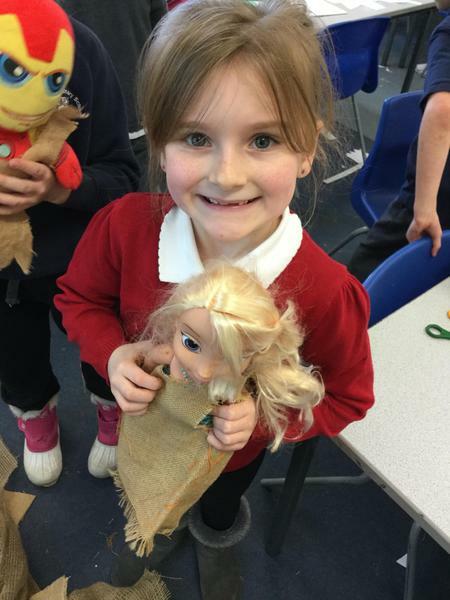 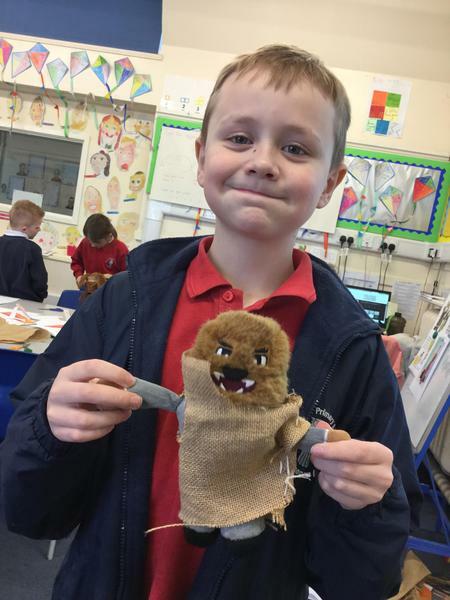 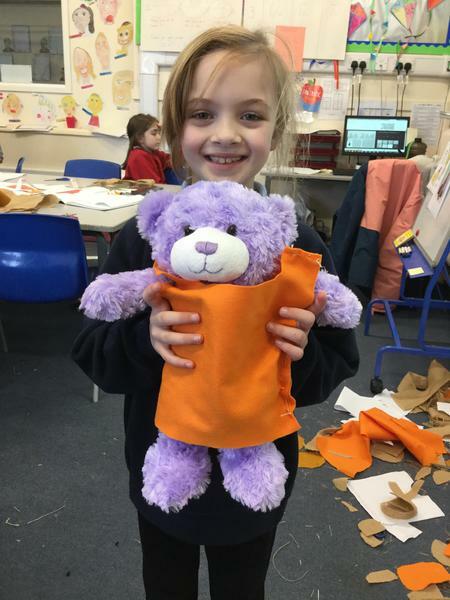 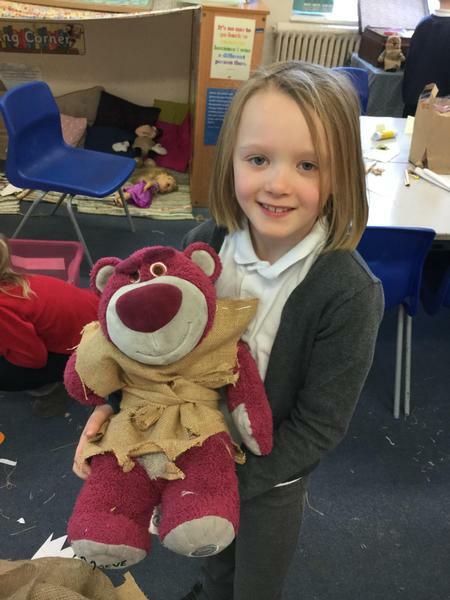 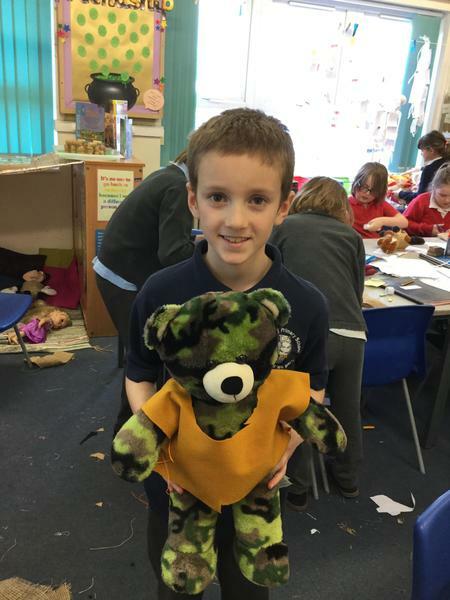 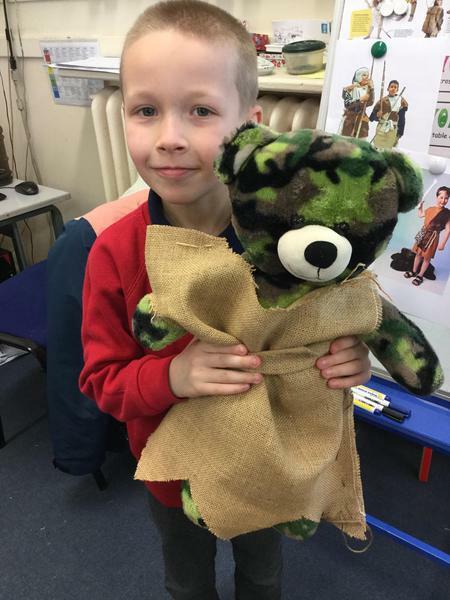 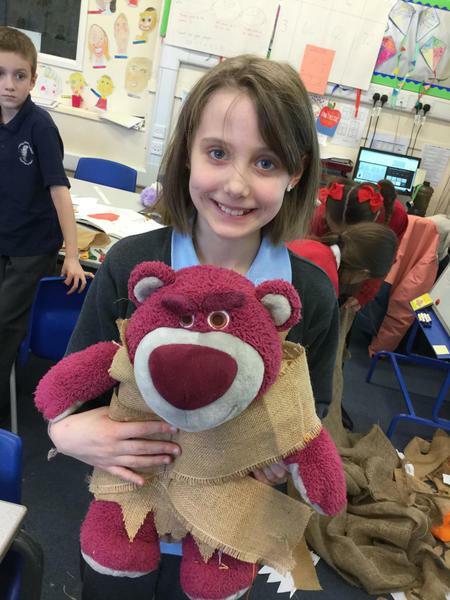 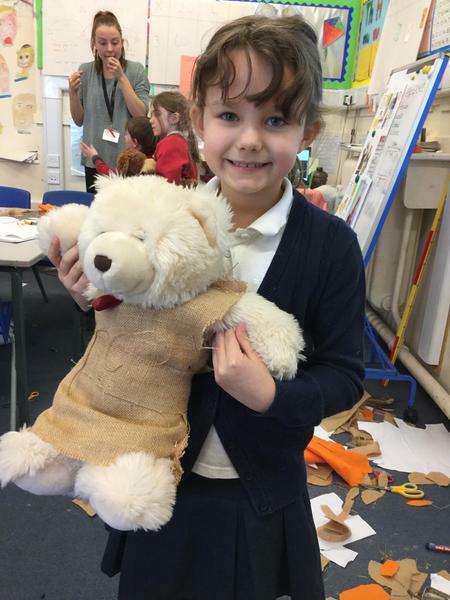 The children brought in a favourite teddy or doll and we designed and made a Stone Age costume for them! 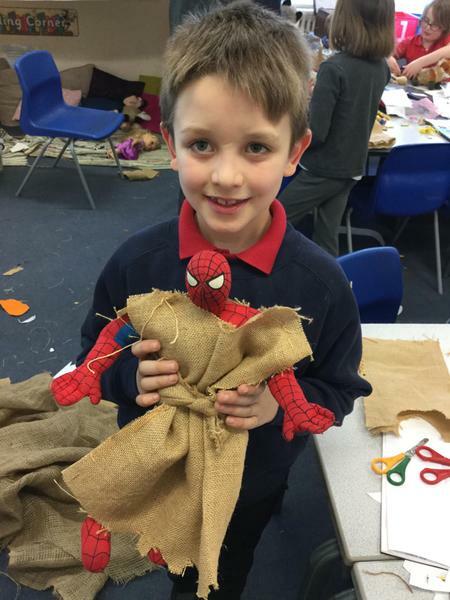 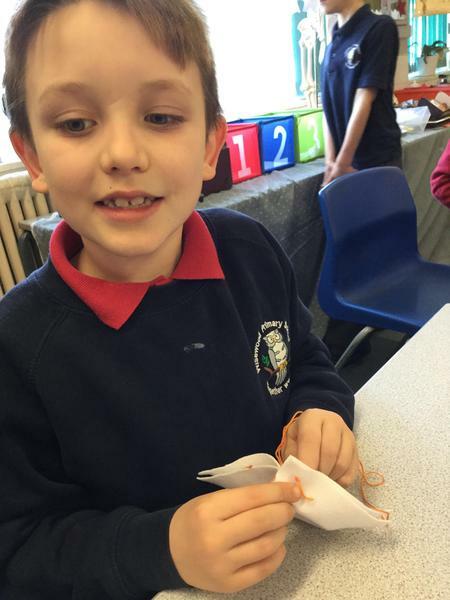 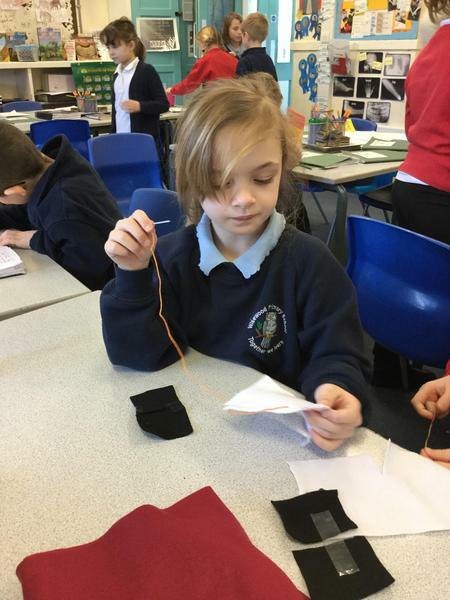 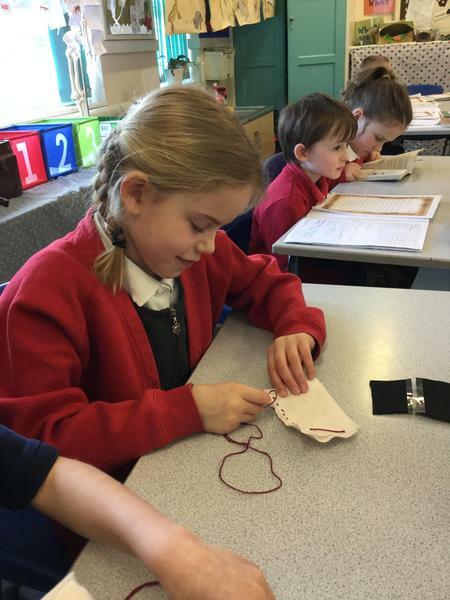 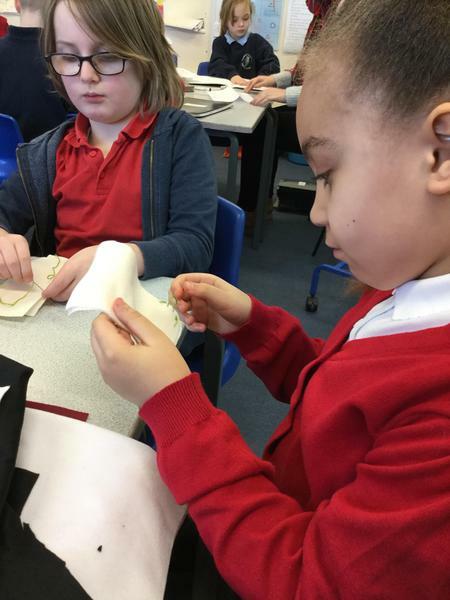 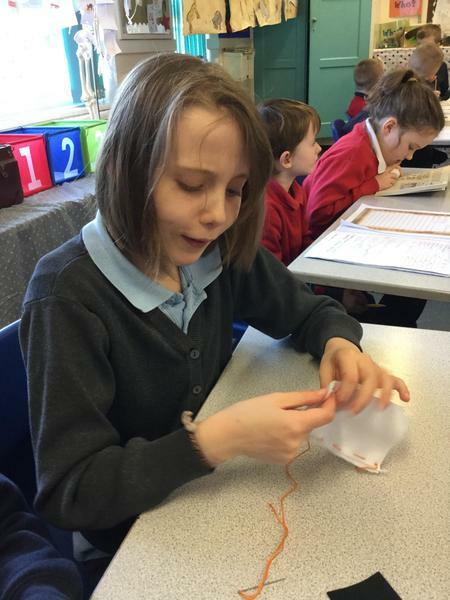 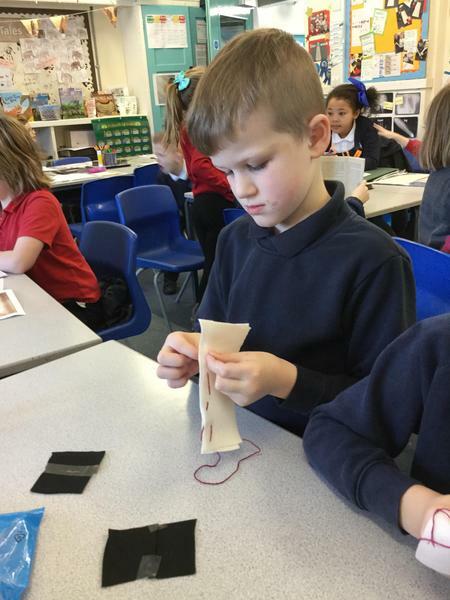 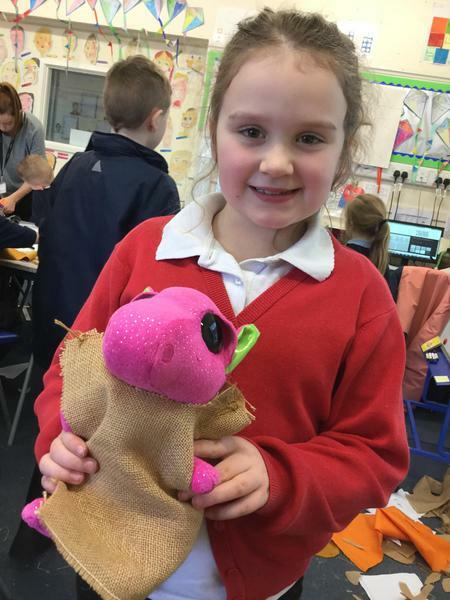 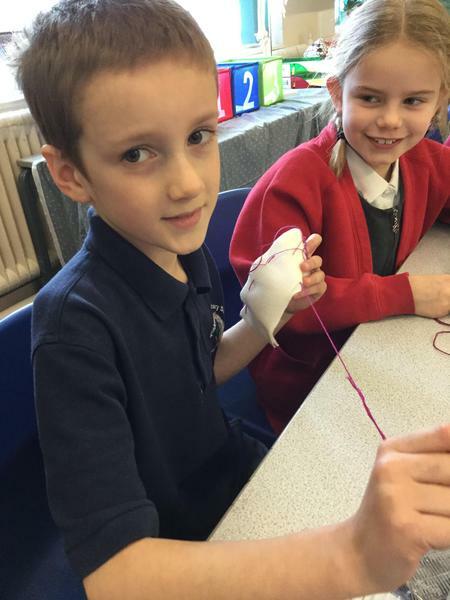 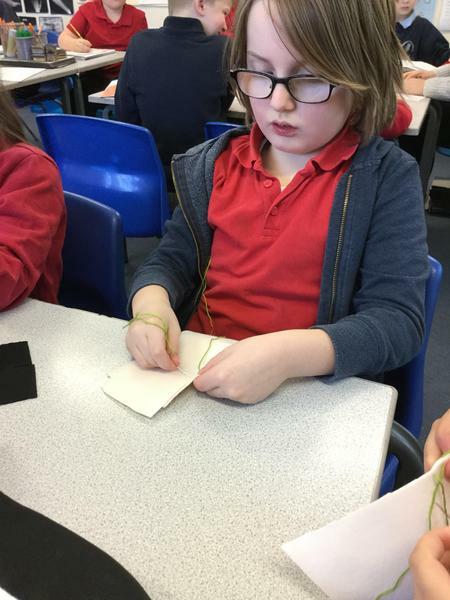 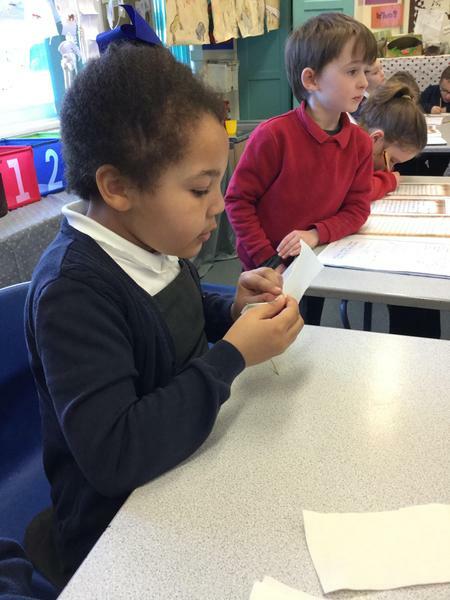 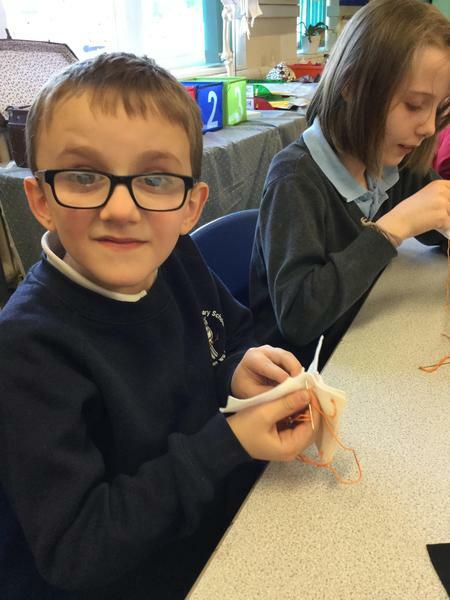 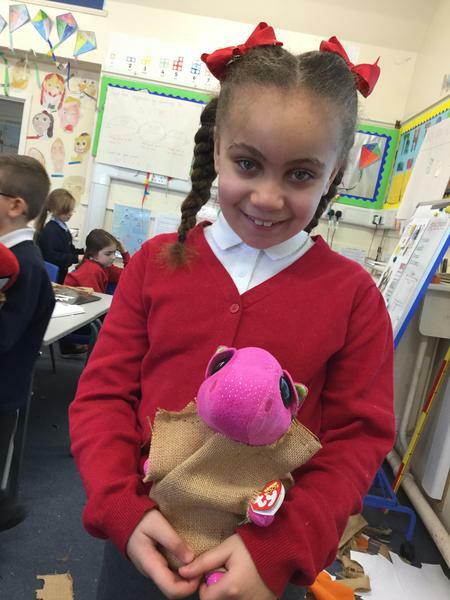 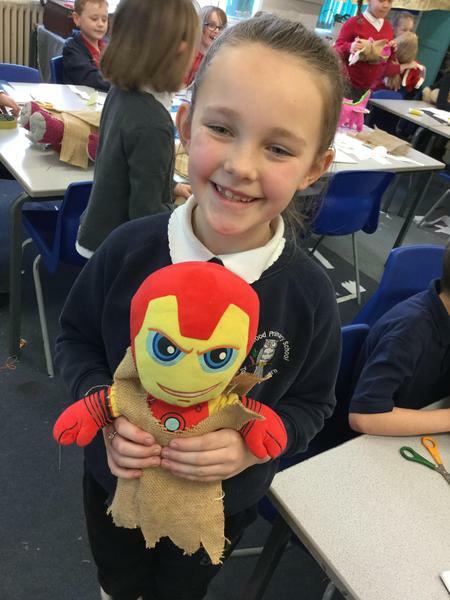 We used a running stitch to join the fabric - this was a new skill for a lot of us and we showed lots of perseverance. 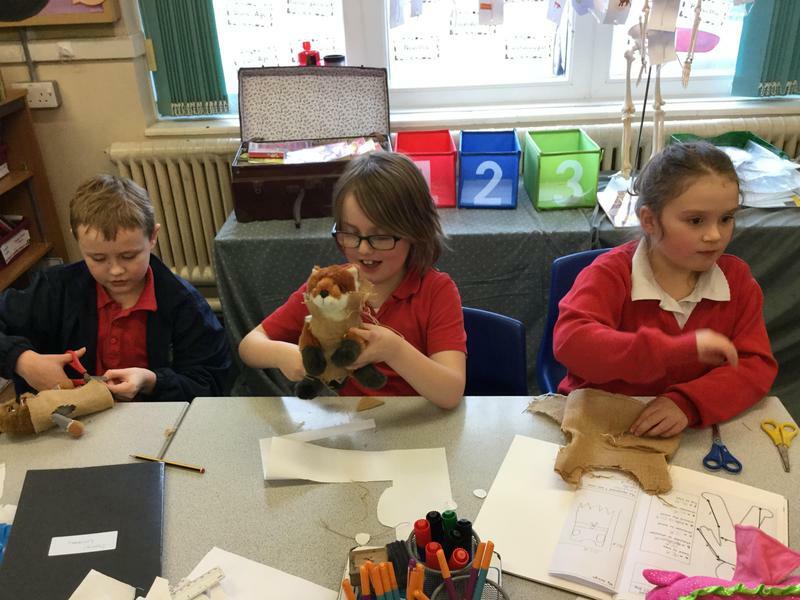 We also measured our toys very carefully before designing to make sure our finished product was fit for purpose and could fit! 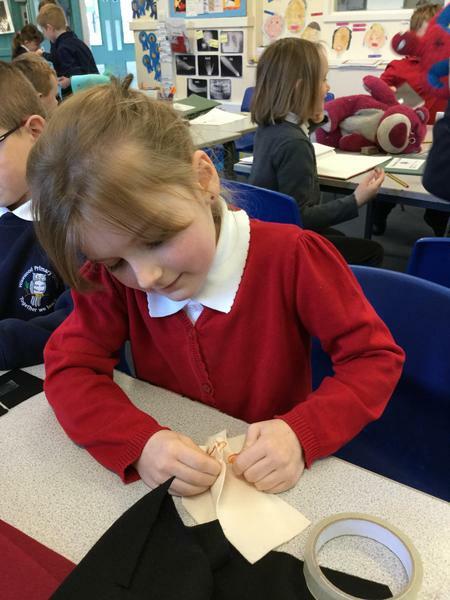 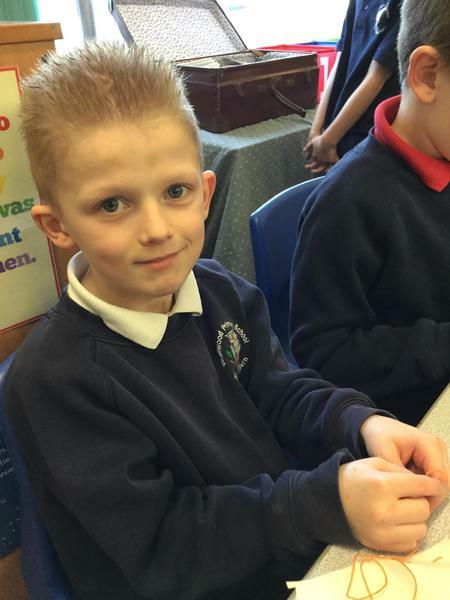 In art we have been learning about Stone Age cave paintings. 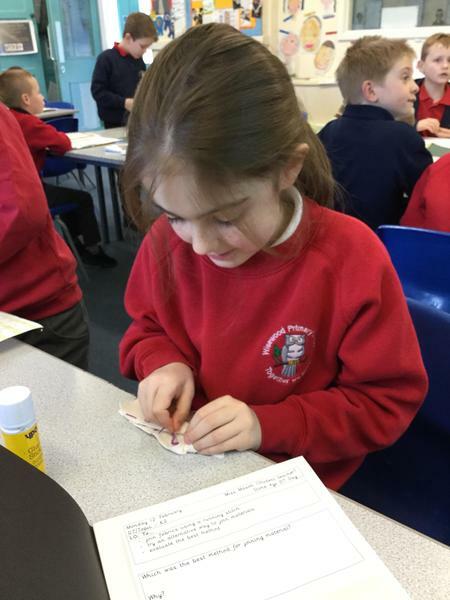 We looked at examples of different cave paintings and then made our own reproductions.